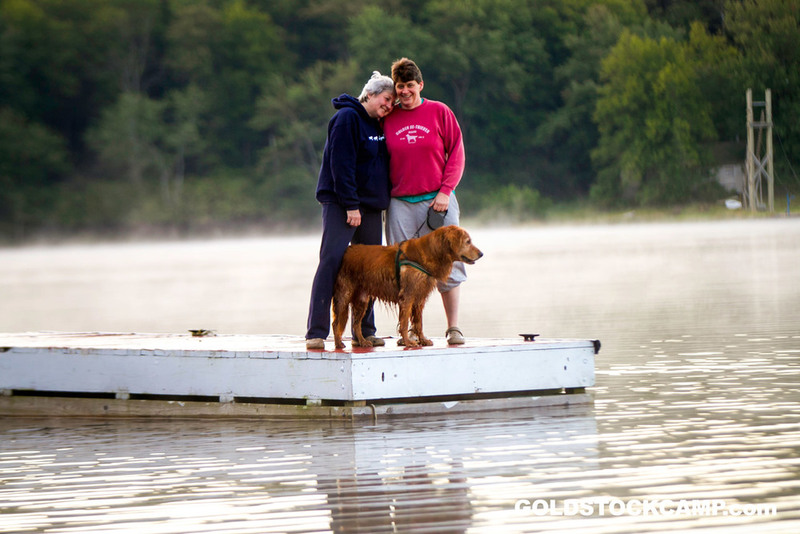 Goldstock is held at Camp Weequahic, a children's camp located in Lakewood, PA which is about 40 miles northeast of Scranton. Weequahic is in a rural area, located on a lake; you will find sand, dog hair, and foot/paw prints most everywhere. And if your dog loves the water you're probably going to find yourself spending most of your time down at the lake. The lake front can be crowded at times but you can almost always find a place to spend some quiet time with your best friends. And depending on the time of day you are down at the lake the lighting and the scenery can make it feel almost magical. Don't forget to pack a few extra towels for drying your dog off and a good brush to get the sand out of their fur. If cleaning them gets to be too much, have no fear, there will be grooming services at camp provided by Autumn Valley Golden Retriever Rescue. Through the course of the weekend there will be a number of water events held down at the lake which means we can have 50-100+ dogs running in and out of the water or up and down the lakefront. No matter how well you think you know your dog trust us when we say that all Goldens look alike when they are wet. Picking up a unique bandana or a colorful new collar for your pup to wear at camp will help you spot your dog easier should they get away from you. If you forget to bring one don't worry, you can always pick one up from any of the numerous Rescue Groups that sell merchandise at camp to raise money for their rescues. Matter of fact, we highly recommend you wait and buy one when you get to camp. 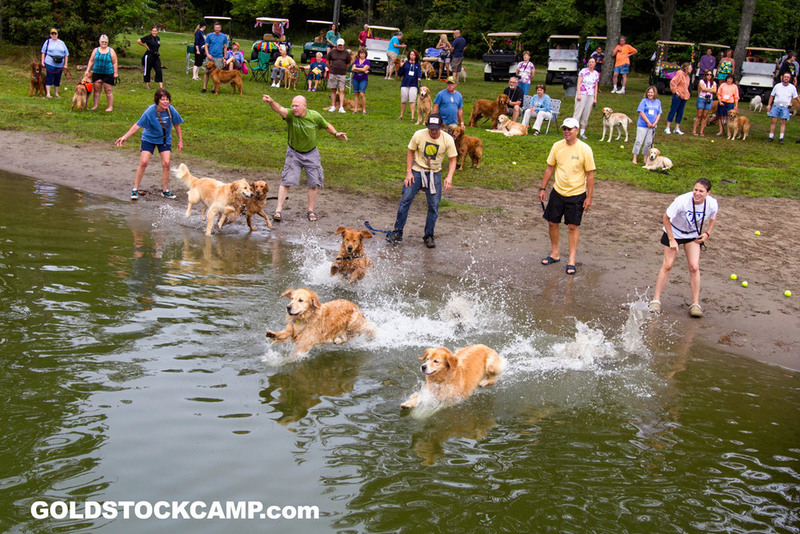 If you are attending camp for the first time this year like us on Facebook to stay up to date on event announcements and ask to join the Goldstock Facebook community where they talk about all things camp and Rescue related. It's a great place to ask questions and get tips about what to expect at camp.